Local chefs from Central Pennsylvania’s finest dining establishments will compete for the Boalsburg Farmers Market Sixth Annual Golden Basket Award on Tuesday, Aug. 2 from 2:00 p.m. to 4:30 p.m. 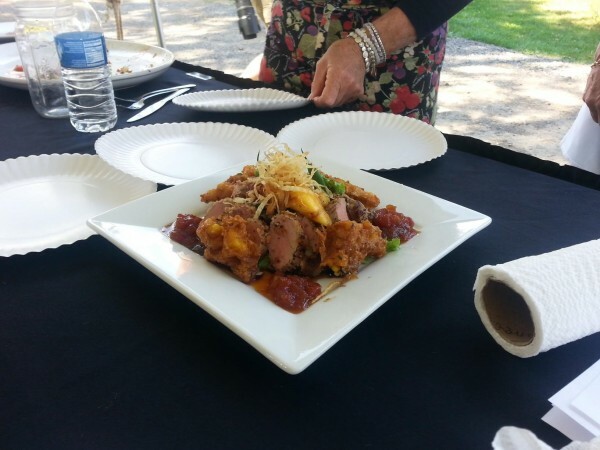 This event is held by the Boalsburg Farmers’ Market and is part of PASA’s (Pennsylvania Association for Sustainable Agriculture) “Local Foods Week.” The event features chefs preparing several dishes from ingredients produced by Boalsburg Farmers’ Market vendors. The chefs gather their ingredients at the market, then prepare their plates for submission to the judges in front of market guests. The chefs have only 45 minutes to assemble the dishes. After the judges have tasted and scored all of the chef’s offerings, an awards ceremony is held to announce the new Golden Basket winner. While the chefs are preparing, market-goers can watch them work and enjoy free samples. Boalsburg Farmers’ Market is at the Pennsylvania Military Museum, Business Route 322, Boalsburg. There is convenient, free parking for the market. The Golden Basket is held to support and showcase our local producers and the chefs who utilize local foods, for the public to see creative ways to prepare the food they can buy at the market, and to promote and encourage shopping at this excellent year-round farmer’s market.